eKapija | State issues permit for construction of Usce “twin” tower – Foundation stone to be laid down in February? The foundation stone for the 103.9-m tower next to the Usce commercial building will be laid down next month, Politika writes in the issue of Wednesday, January 31, 2018. The permit for the construction of the 22-floor skyscraper in Block 16 has been issued, as the Ministry of Construction, Transport and Infrastructure confirmed to Politika on Tuesday, January 30, 2018. This means that the last obstacle to this construction endeavor of Petar Matic, owner of MPC Properties, has been overcome, the daily writes. The future 28,000-m2 building will contain offices, a restaurant , a cafe and a bank. The building will be positioned in the location of the underground garage in the Nikola Tesla Blvd. 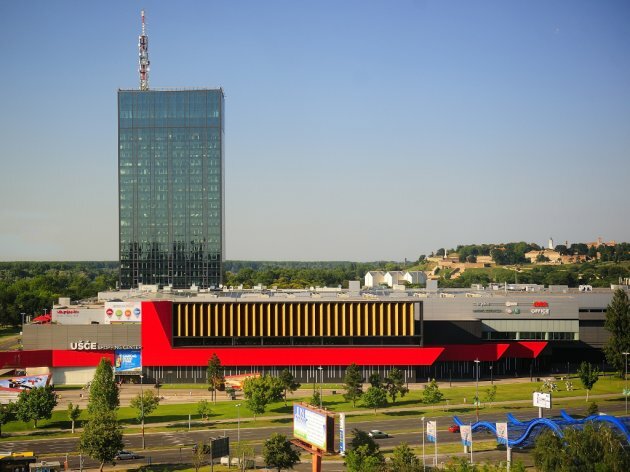 The author of the preliminary design is the Prague-based studio Chapman Taylor, whereas the company's architectural studio from Milan has prepared the design of the interior and the section of the Usce shopping center facade facing the Mihajlo Pupin Blvd. The temporary parking lot in front of the Usce building will be demolished, and a garage with two underground levels will be built beneath the parcel. Matic will invest EUR 60 million in this project, Politika reports. eKapija wrote about the possibility of the construction of the second tower back in 2007.